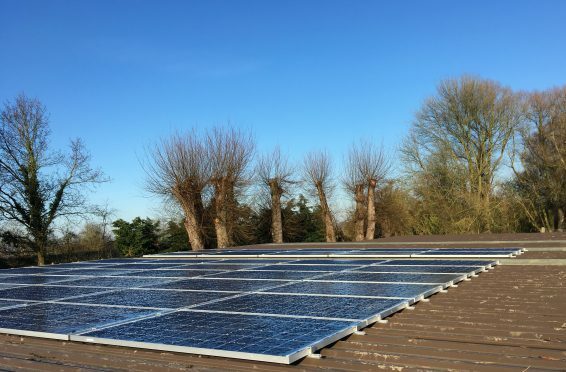 Solar panels are now a common sight on many properties, with home owners using the electricity created to cut their bills and generate a tax free income from the electricity going back to the grid. Although the government incentives have been reduced, so have installation costs – in fact we can now install a 4kWh system from only £4,800! On average this will still get you a rather healthy 10% return on your investment earning you up to £450 of tax free income and savings per year! One of the latest innovations in the domestic solar market is battery storage. This gives you even greater savings as you can store the energy generated by your solar panels during the day and use it at night. This can almost eliminate your reliance on the grid! We are currently fitting new PV systems with battery storage form just £7,000! The technology is advancing all the time and one of the latest system upgrades for older solar PV system is TIGO energy optimisers. These can be retro fitted to any system and inverter and will combat any problematic shading issues which may or may not have been pointed out at the time of install. An optimised system can produce around 15-20% more kWh per year than a traditional string inverter on a shaded roof. The install of a TIGO system is easy, the optimisers just clip on the back of the existing panels and work with any inverter. No mess, no hassle, just extra tax free income. If you are considering fitting solar panels or already have a system and would like to explore battery storage or other enhancements then please get in touch on 0345 600 7 800 or use our contact us form. We can provide free, no obligation quotations and offer advice on the best solution for your property, we can also help you to calculate the potential return on investment of any system we fit. We are fully MCS accredited and our team are friendly, open and honest, there’s no hard sell and no hidden extras.